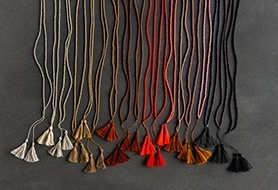 Fun to make and stunning to wear, our Beads + Tassels Necklaces are a wonderful introduction to beading and jewelry making. The whole undertaking couldn’t be more straightforward or beautiful with this step-by-step instructional booklet to walk you through every step! 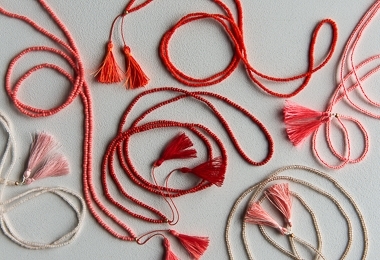 Choose your Pattern as a PDF download or a hard copy, and for a list of materials you'll need to make your Beads + Tassels Necklaces, please click Product Details, above. These are enough materials to make three necklaces, measuring 30, 32, and 34 inches in circumference. Another option: All of these materials, including the Pattern, come in our Beads + Tassels Necklaces Kit.